You can get yourself a free IT cosmetics eyebrow pencil from ViewPoints. Just follow our link and supply them with your postal detail and they will deliver it right at your doorsteps. Click GET FREEBIE button and then fill up the form with your details to get yours. You can get yourself a free IT cosmetics lipstick from ViewPoints. Just follow our link and supply them with your postal detail and they will deliver it right at your doorsteps. Click GET FREEBIE button and then fill up the form with your details to get yours. You can get yourself a free IT mascara from ViewPoints. Just follow our link and supply them with your postal detail and they will deliver it right at your doorsteps. Click GET FREEBIE button and then fill up the form with your details to get yours. You can get yourself a free Col-Lab lipstick from ViewPoints. Just follow our link and supply them with your postal detail and they will deliver it right at your doorsteps. Click GET FREEBIE button and then fill up the form with your details to get yours. Flower Beauty company is giving away free samples of their makeup products including mascaras. Just follow our link, click Signup button and then supply them with your shipping details to get yours. 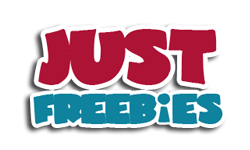 Click GET FREEBIE button and then submit your details to get your hands on a free mascaras. You can get yourself a free Bobbi Brown Crushed Liquid Lip from ViewPoints. Just follow our link and supply them with your postal detail and they will deliver it right at your doorsteps. Click GET FREEBIE button and then fill up the form with your details to get yours. You can get yourself a free Revlon Flesh lipstick from ViewPoints. Just follow our link and supply them with your postal detail and they will deliver it right at your doorsteps. Click GET FREEBIE button and then fill up the form with your details to get yours. You can get yourself a free Wander mascara from ViewPoints. Just follow our link and supply them with your postal detail and they will deliver it right at your doorsteps. Click GET FREEBIE button and then fill up the form with your details to get yours. L’Occitane is giving away free Mon Amour gift box so hurry up and pick one up for yourself right away. Follow our link and read about this offer on their website. You will have to pick it up from any nearest store. Click GET FREEBIE button and then check out this offer on their website. You can get yourself a free Milani liptick from ViewPoints. Just follow our link and supply them with your postal detail and they will deliver it right at your doorsteps. Click GET FREEBIE button and then fill up the form with your details to get yours. You can get yourself a free L’Oreal Paris Fresh Wear foundation from ViewPoint. Just follow our link, click Signup button and then supply them with your shipping details to get yours. Click GET FREEBIE button and then order your free L’Oreal Paris Fresh Wear foundation. Hurry up and get yourself a free sample of Essie Shades nail polish from SoPost. Follow our link, click Claim Free Sample button and then supply them with your shipping details and they will deliver it to you. Click GET FREEBIE button and then order your free sample of their nail polish. You can get a free sample of Color Street 100% Nail Polish strips. Simply follow our link and supply them with your shipping details and they will deliver it to you. Click GET FREEBIE button and then order a free sample of this product right away. Flower Beauty company is giving away free samples of their makeup products including lipsticks. Just follow our link, click Signup button and then supply them with your shipping details to get yours. Click GET FREEBIE button and then submit your details to get your hands on a free lipstick. Avon is giving away free makeup product samples including their lipsticks. Follow our link and supply them with your shipping details and they will deliver it to you. Click GET FREEBIE button and then order your free samples today.